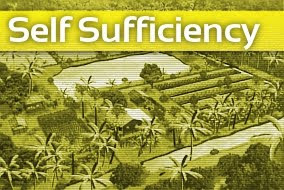 is being carried out in earnest. February 23, 2014 (ATN) - Coordinated grenade and gun attacks have been carried out across Thailand by the regime of US-backed Thaksin Shinawatra and his nepotist proxy, sister Yingluck Shinawatra in an attempt to quell growing dissent that now includes rice farmers once considered the foundation of the regime's support. Among those dead and maimed were children. A grisly attack in the eastern province of Trat left scores maimed and a five-year old girl dead. A similar attack carried out in Bangkok left many maimed along with a woman and 12 year old boy dead. It should be noted, that unlike mobs in Ukraine where literal Neo-Nazi hooligans are clashing with police - protests across Thailand are carried out in a festive atmosphere with permanent stages hosting a variety of activities while vendors, families, and even tourists mingle among the crowds. The attackers, fully aware of this, intentionally carried out the attacks realizing unarmed men, women, and children would be injured or killed. That the attacks are being carried out with assault rifles and military grenades indicates the terror campaign now being carried out is the execution of long admitted plans by the regime and its supporters to use violence to silence dissenters. 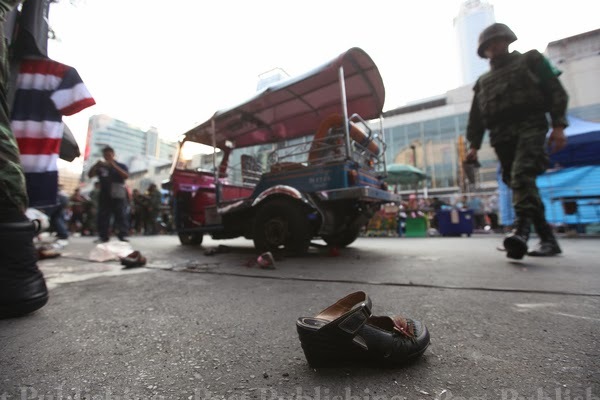 Clearly, the murderous attacks now being carried out not only in Bangkok, but in provinces across the country, are these threats being carried out. And just hours after the attack in Trat province, and before another attack in Bangkok, the regime's "red shirt" mobs were assembled in the northeastern province of Nakhon Ratchasima (Korat) for what it called a "war drum meeting." And it was during this "war drum meeting" that red shirt leaders proudly announced on the stage the deaths in Trat province to which the mob responded with cheers. It is clear the regime has turned to terrorism - having lost its own rigged elections and failing to produce any significant street presence even in the north and northeast long thought to be Thaksin Shinawatra's "stronghold."